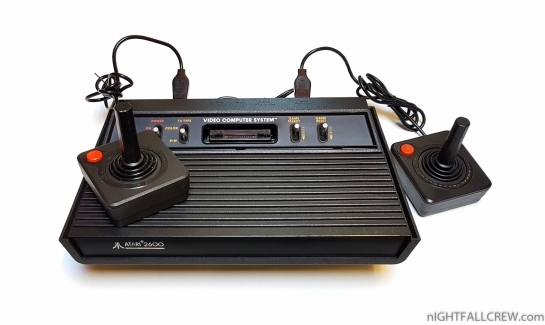 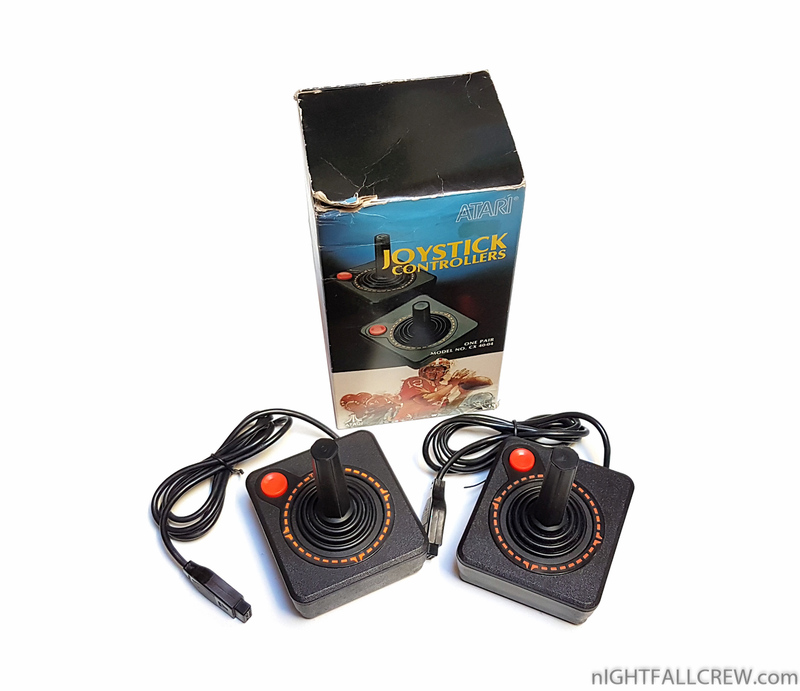 The main reason why the Atari CX24 dual fire button Joystick was not one of our favorite Atari controllers made, was the left, right fire button PCB’s and Main X / Y PCB would fail very fast. 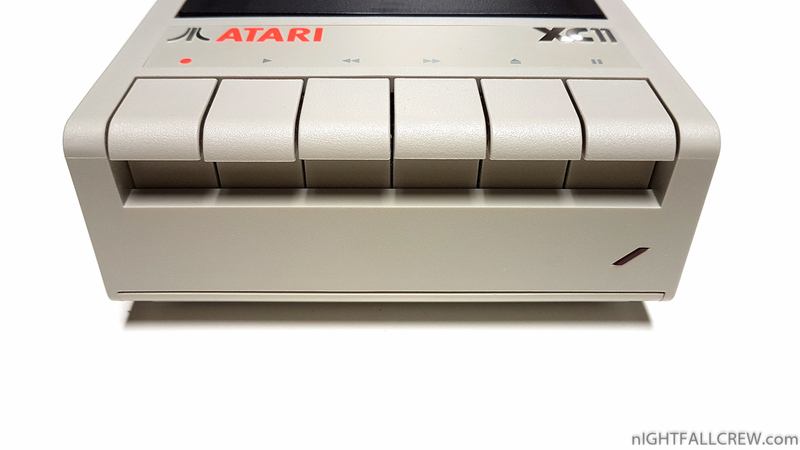 1st the left and right fire buttons PCBs would fail and second the main X / Y PCB would fail next with any kind of normal use. 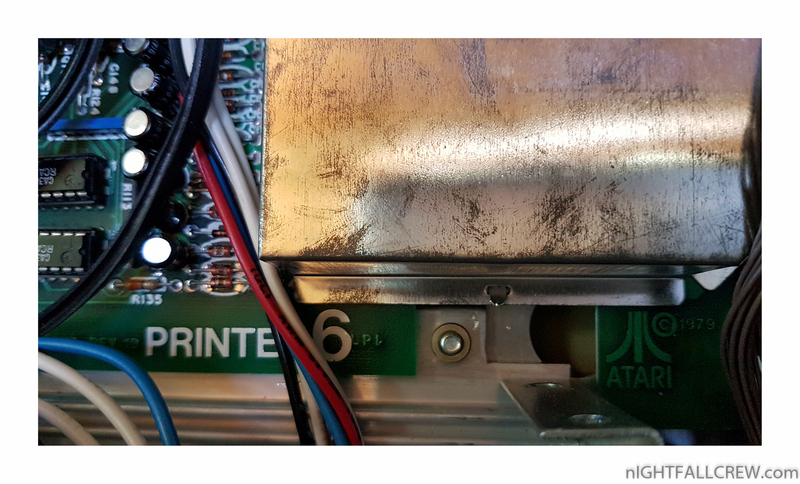 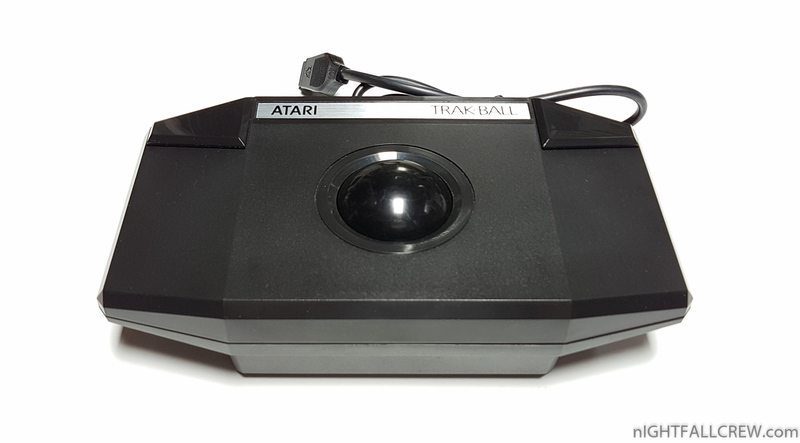 The Atari Trak-Ball is a pointing/movement device consisting of a ball held by a socket containing sensors to detect a rotation of the ball about two axis-like an upside-down mouse with an exposed protruding ball. 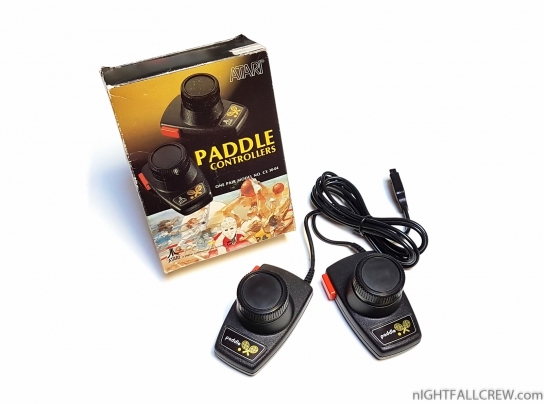 The user rolls the ball with the palm of the hand while using the fingertips to press the two large buttons. The Atari Track-Ball is mainly used with games like Centipede, Missile Command, Crystal Castle, etc. 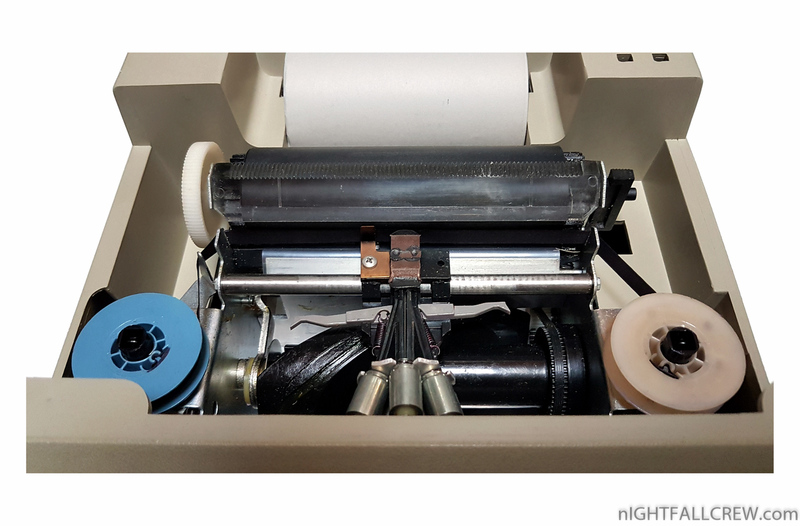 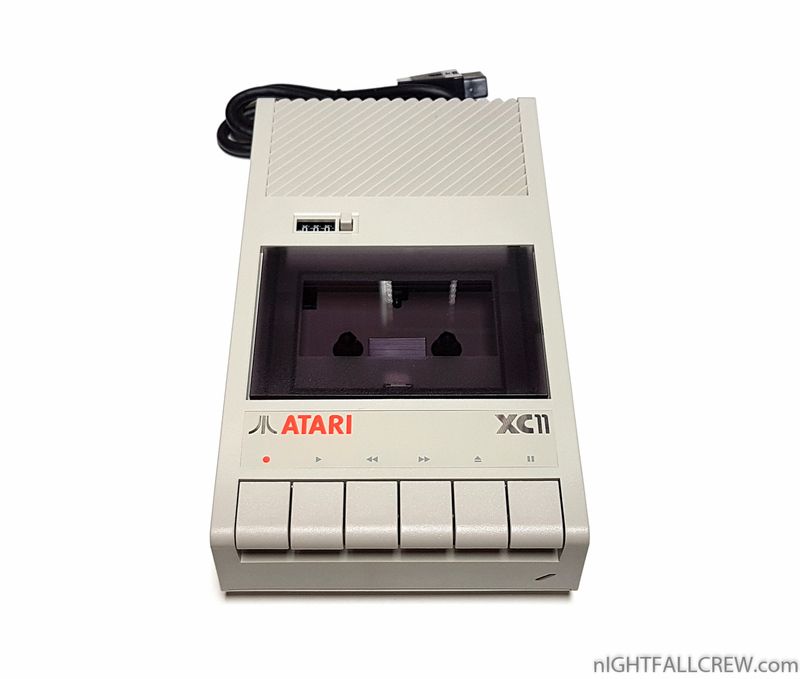 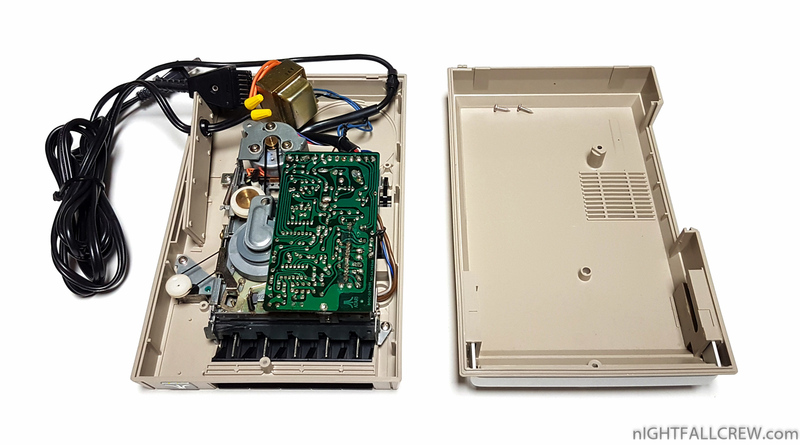 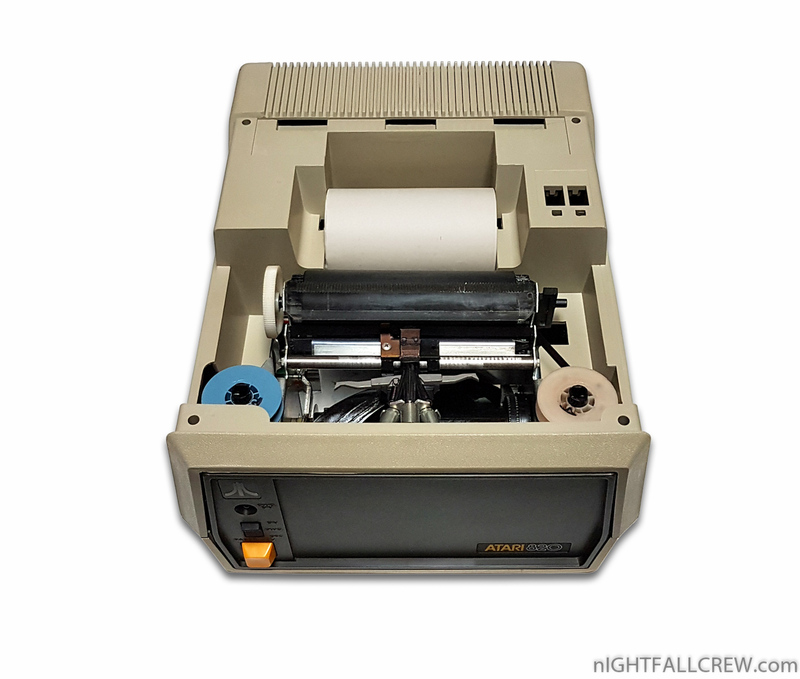 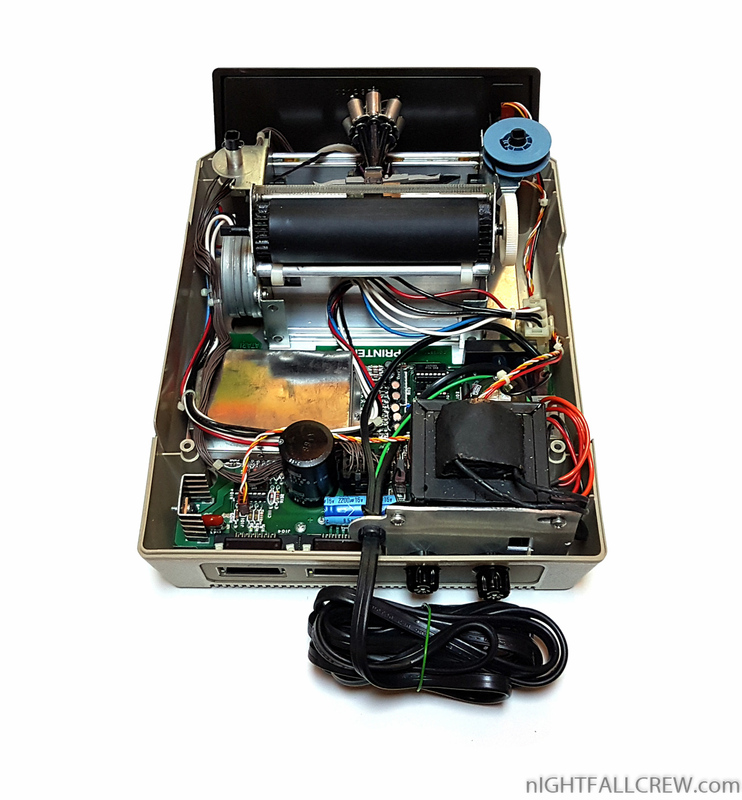 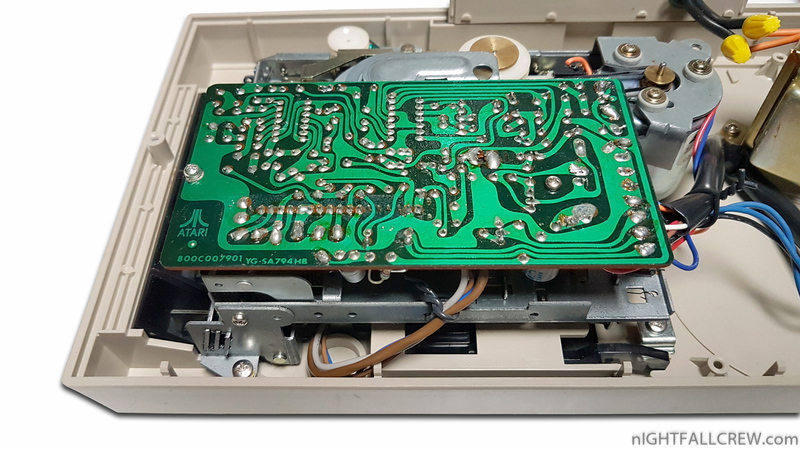 The Atari Tape Recorder Model XC11 can save or load programs/data from magnetic media (audio cassette). 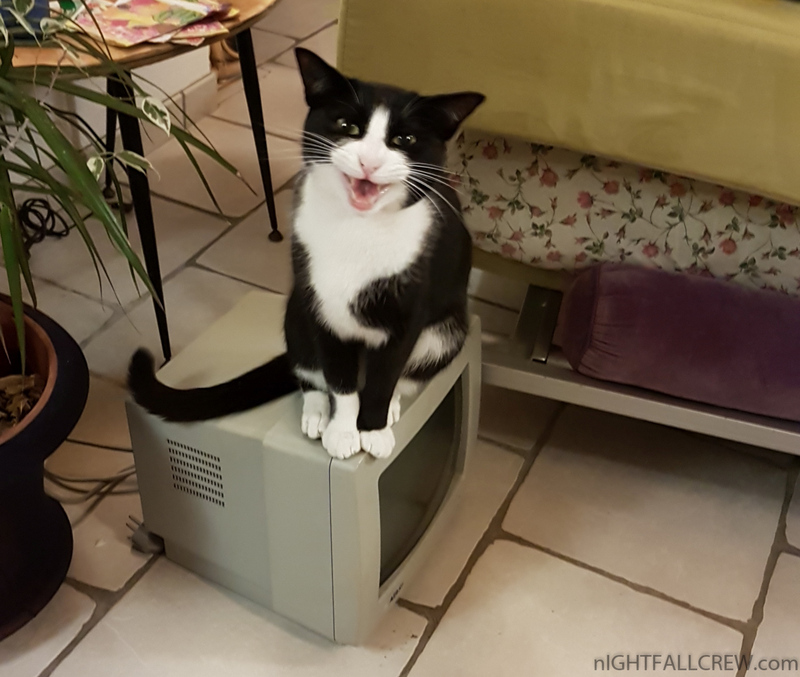 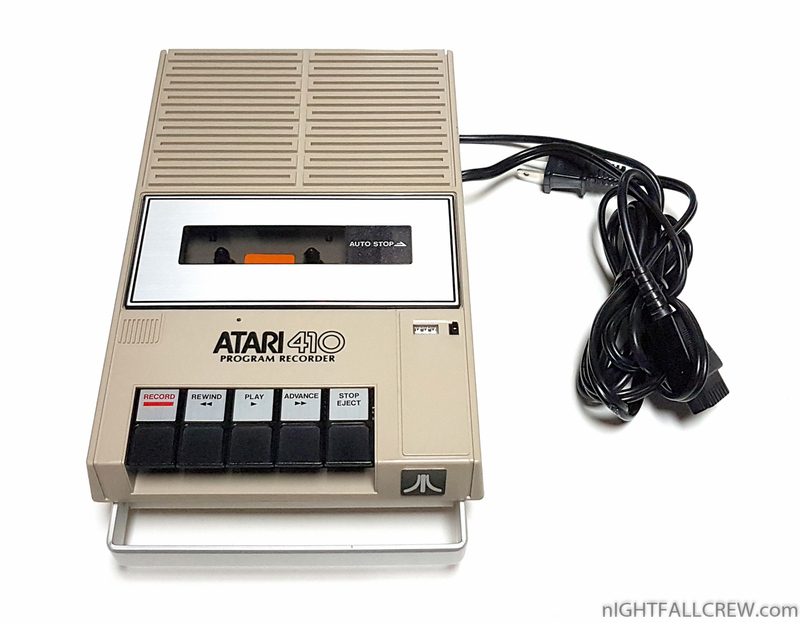 The transfer rate is 600bits per second, so you can record about 100,000 bytes of data on a regular 60 minute cassette. 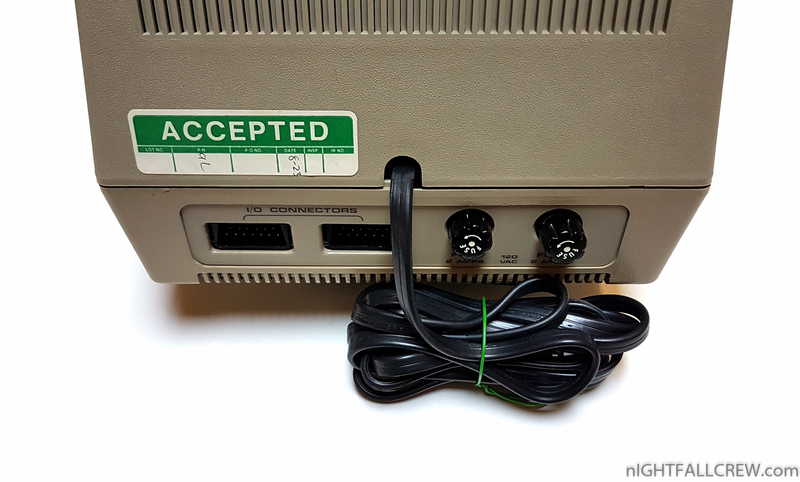 Unlike the new XC12 model in the XC11 we find the SIO pass through connector so this device can be connected anywhere in the SIO chain. 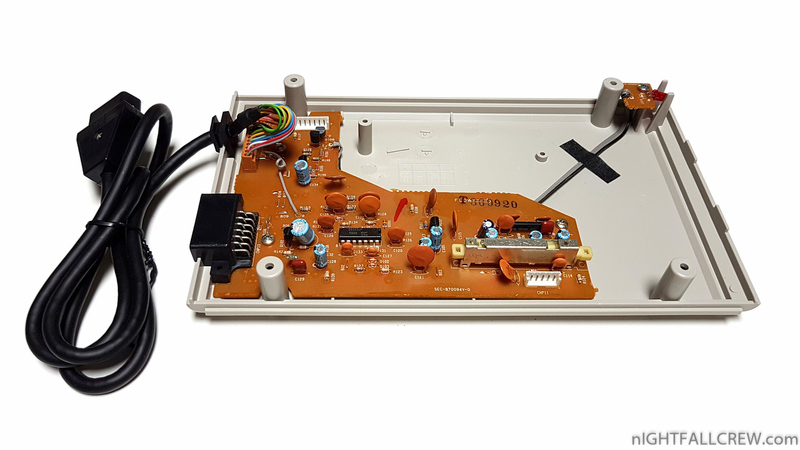 The power is supplied from the I/O Serial cable (SIO). 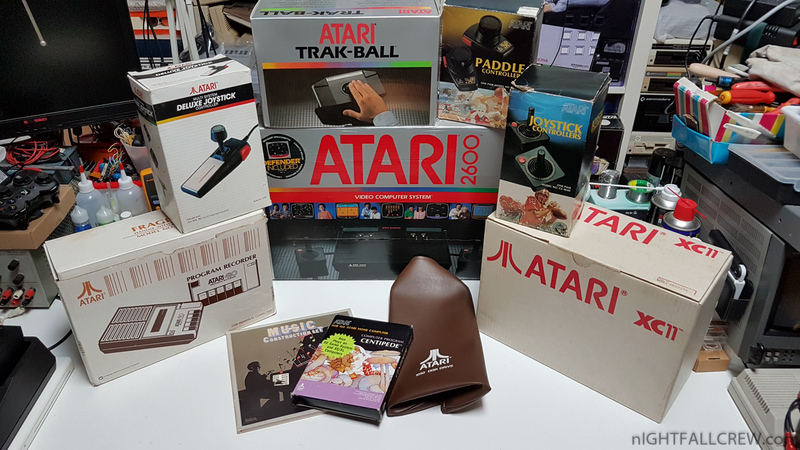 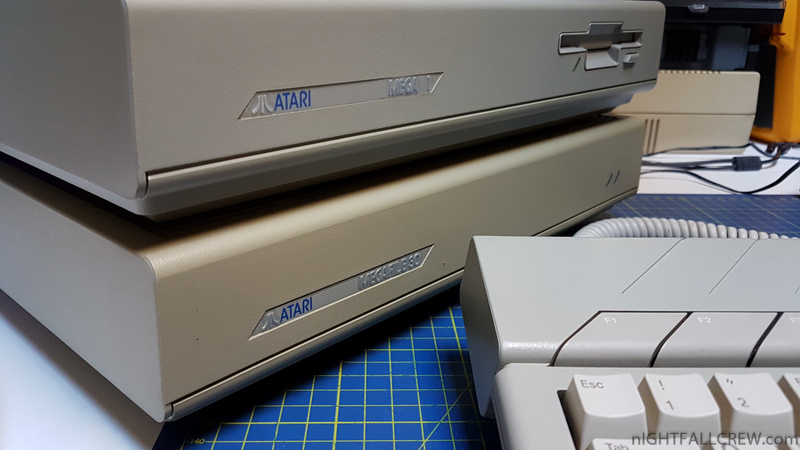 Some interesting things to close my personal Atari collection. 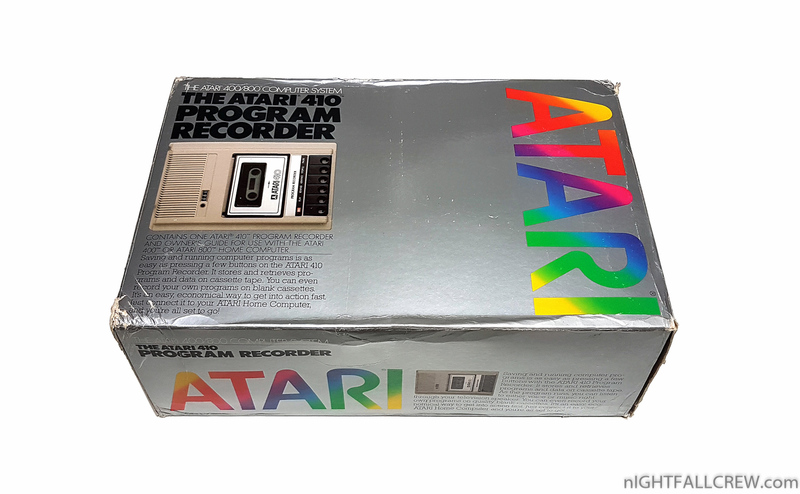 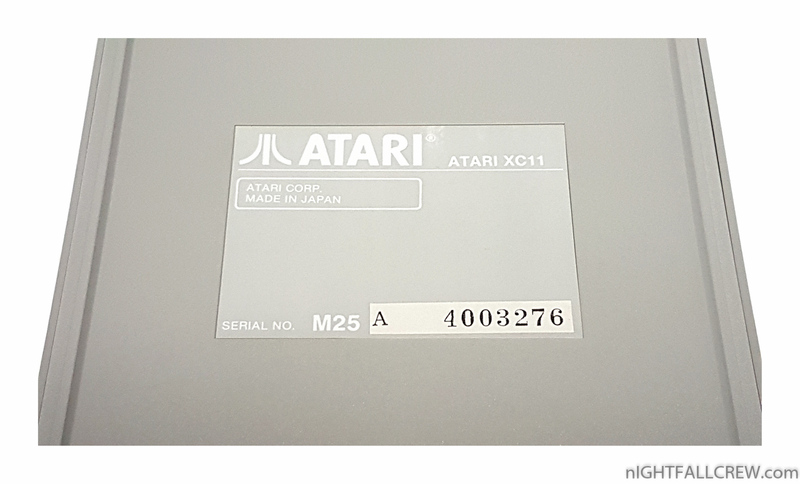 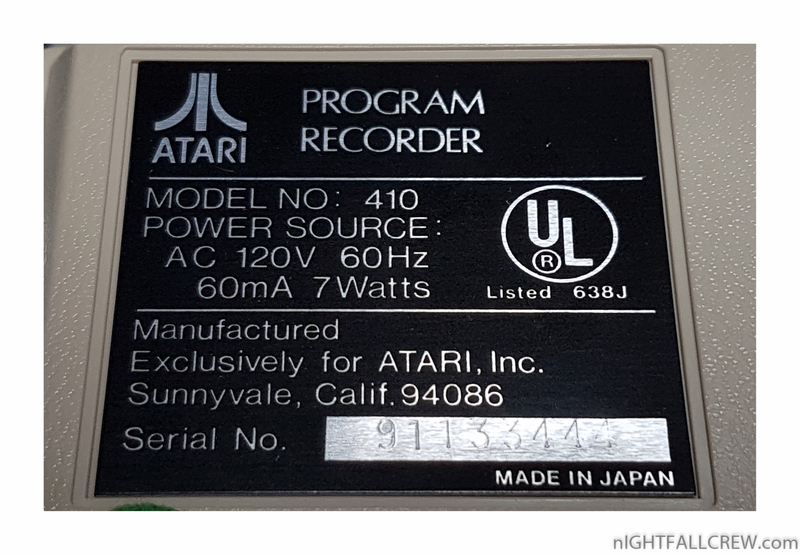 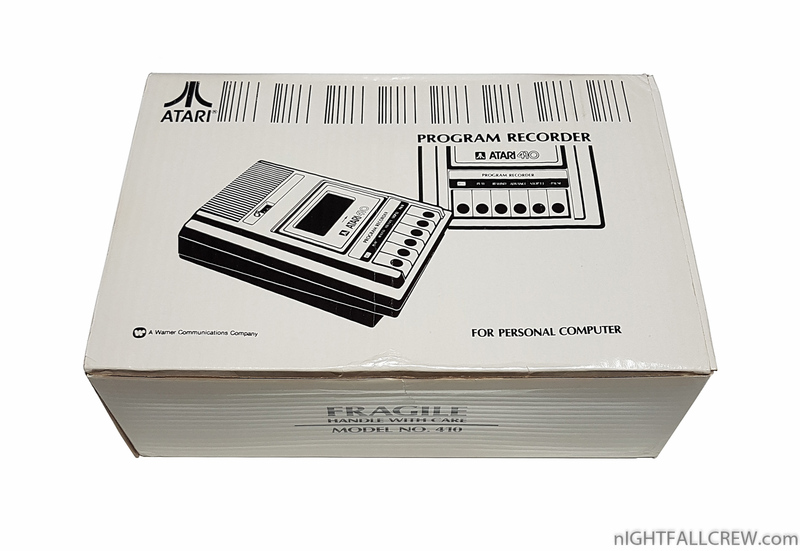 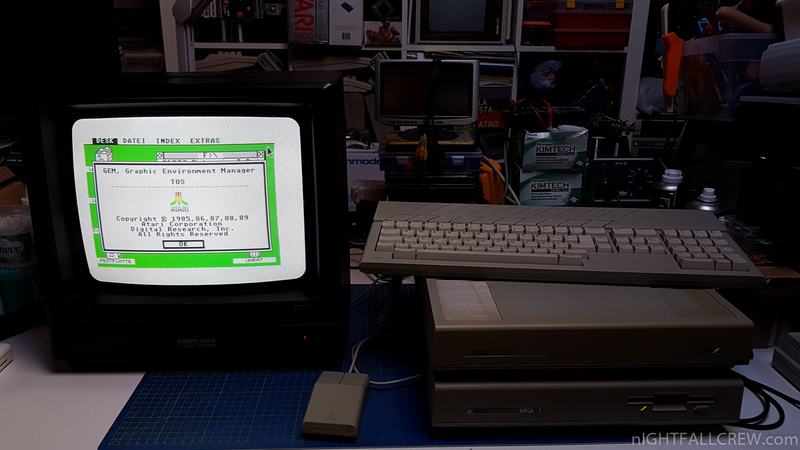 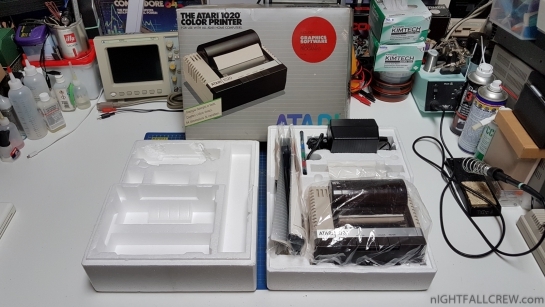 Atari Program Recorder Model XC11. 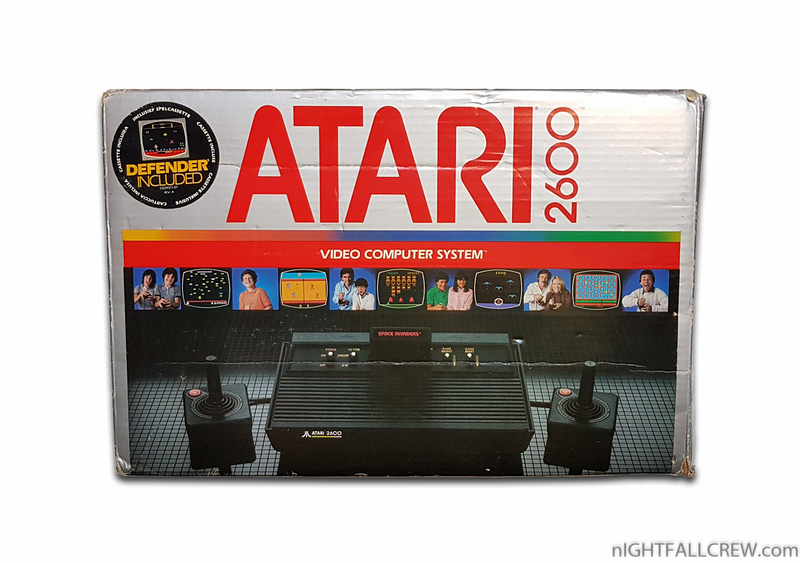 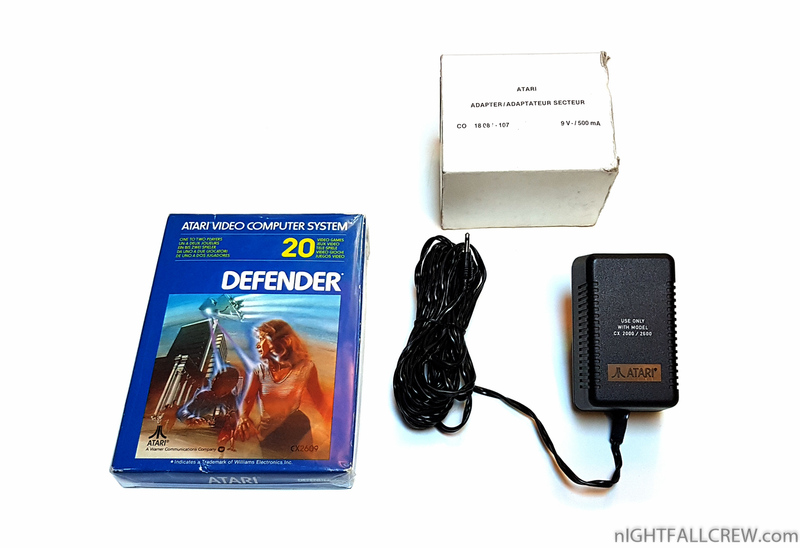 Atari 2600 Dark Vader Defender Pack. 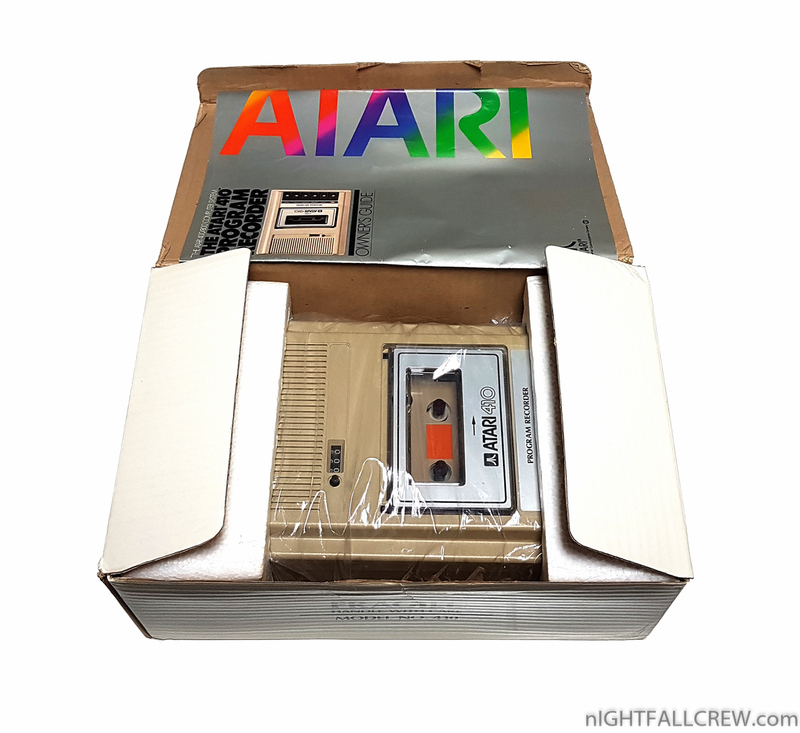 Atari Joystick CX-40-04 Retail Box. 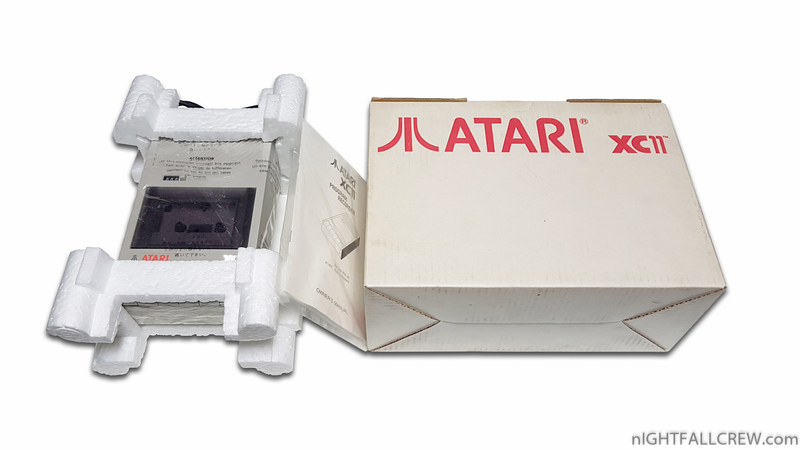 Atari Paddle Controllers CX 30-04 Retail Box. 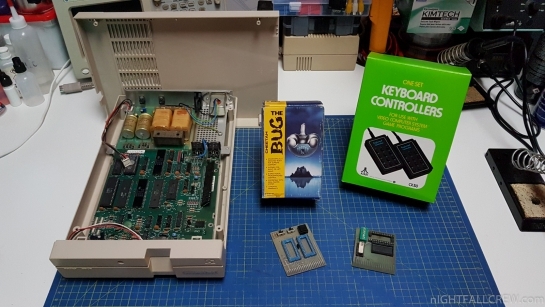 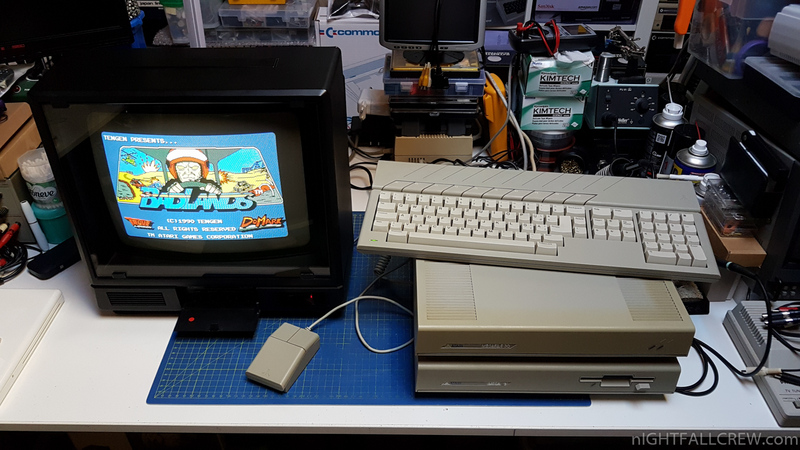 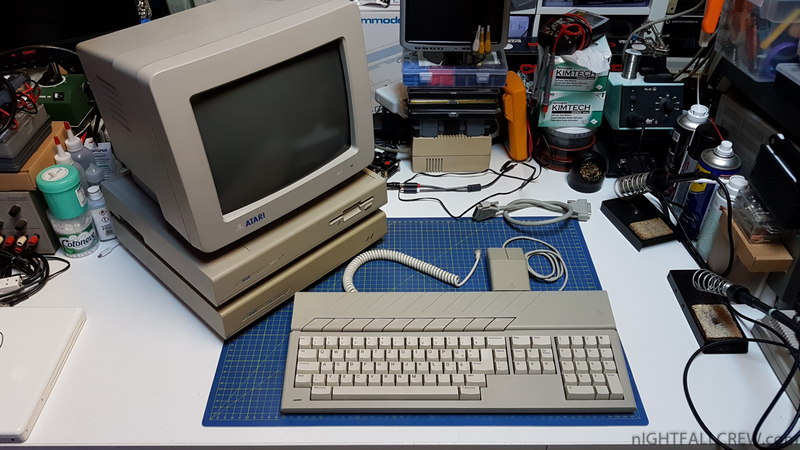 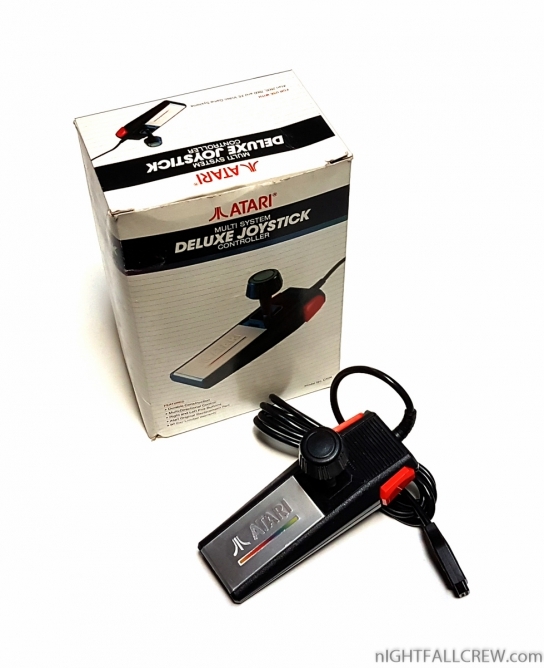 Atari Multi System Deluxe Joystick Controller CX24. 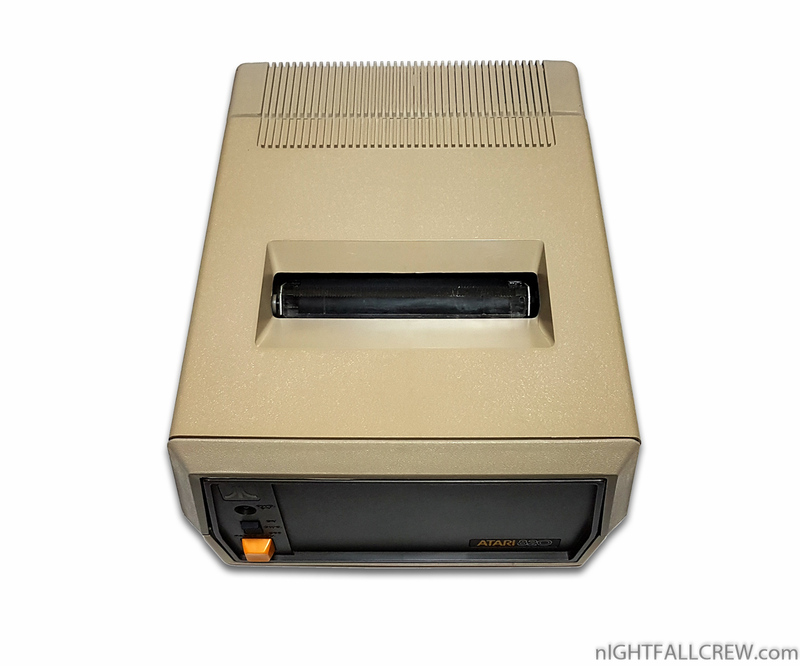 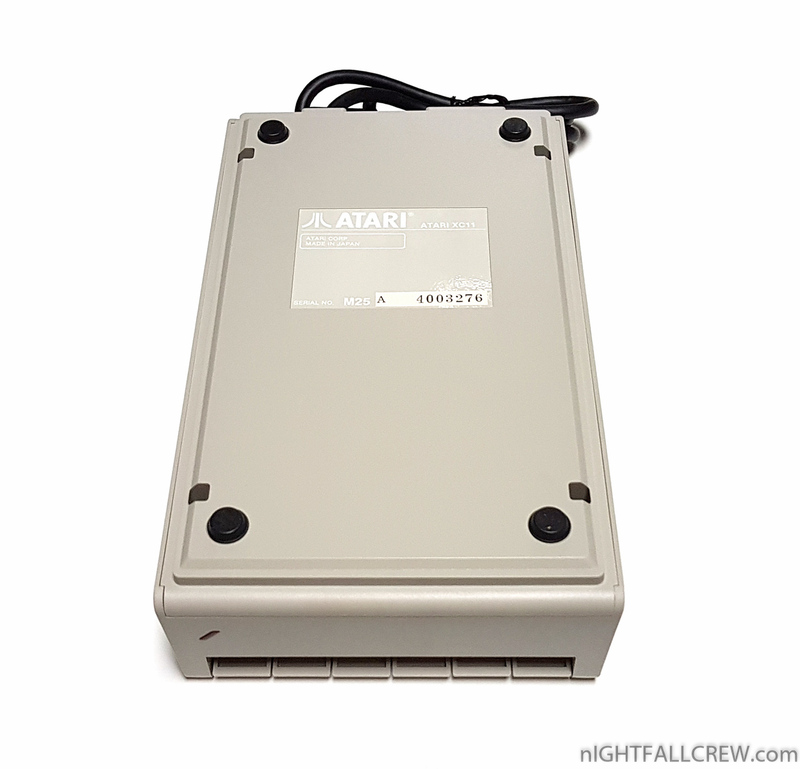 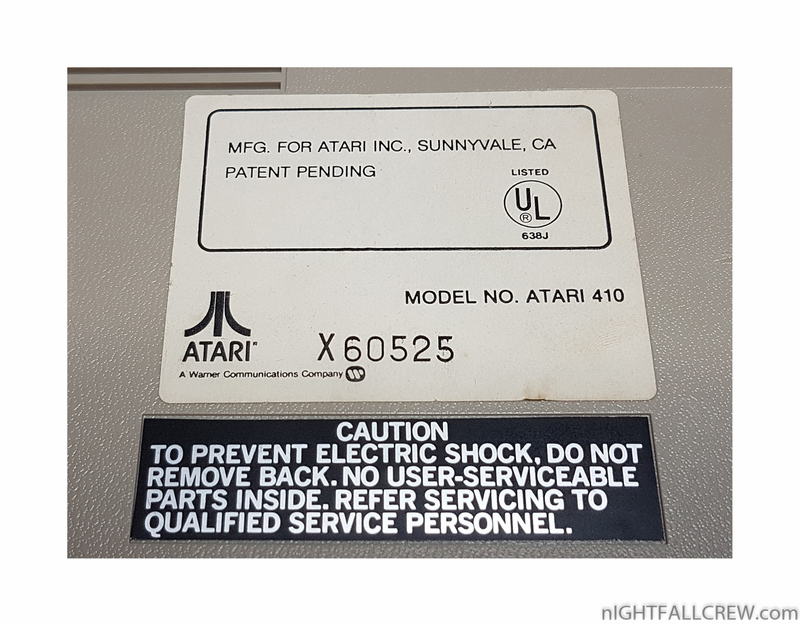 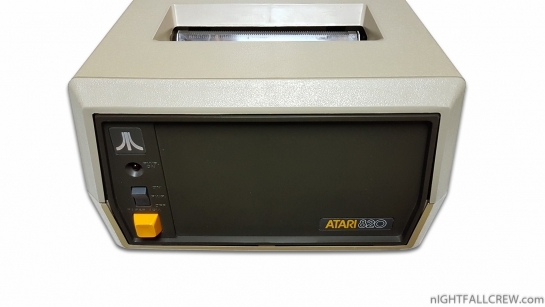 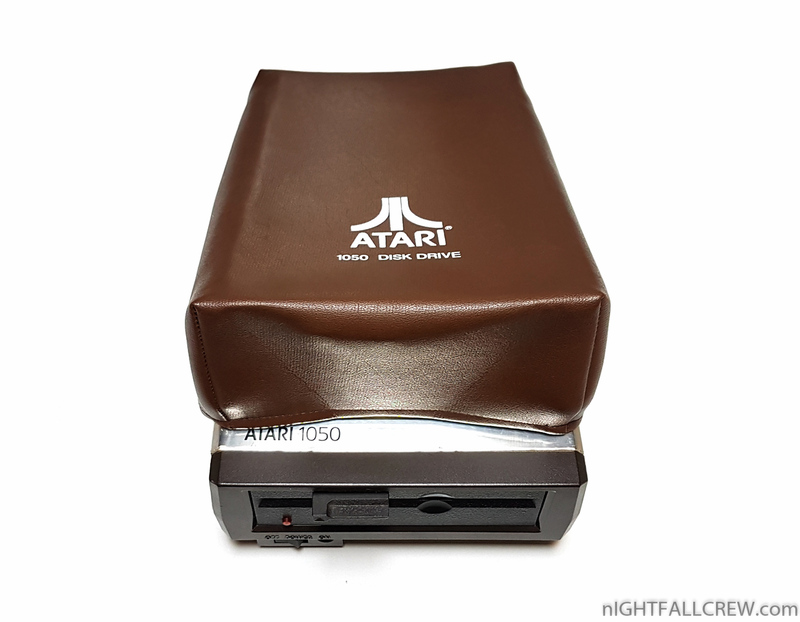 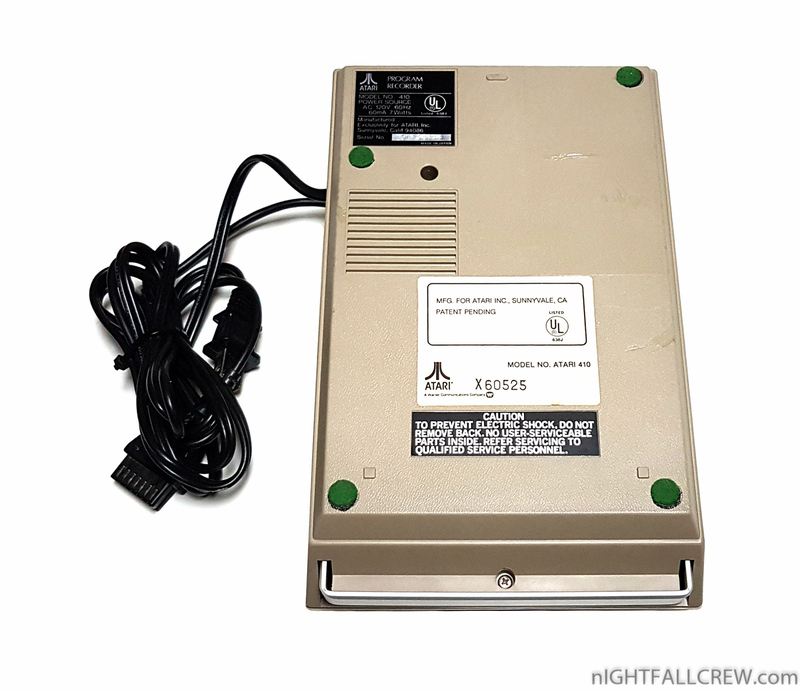 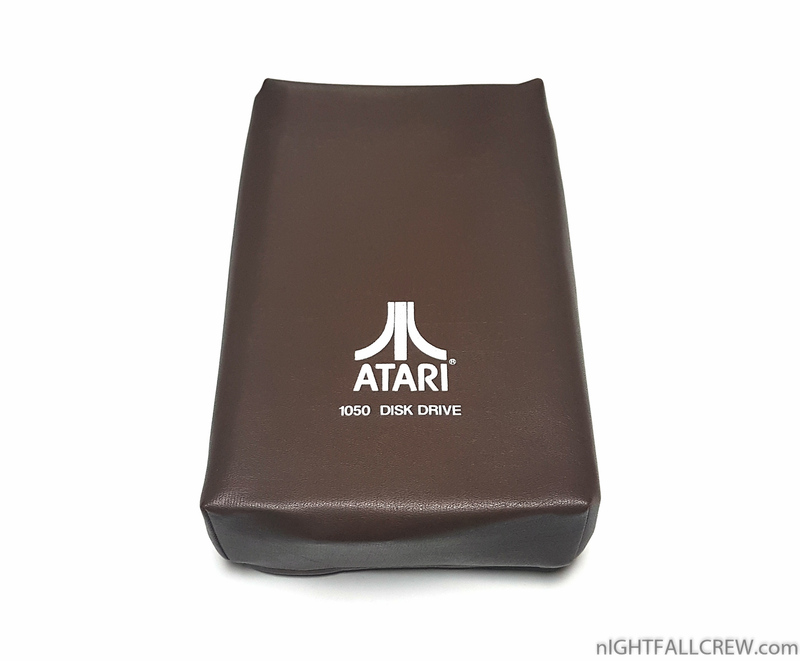 Atari 1050 Disk Drive Soft Cover.